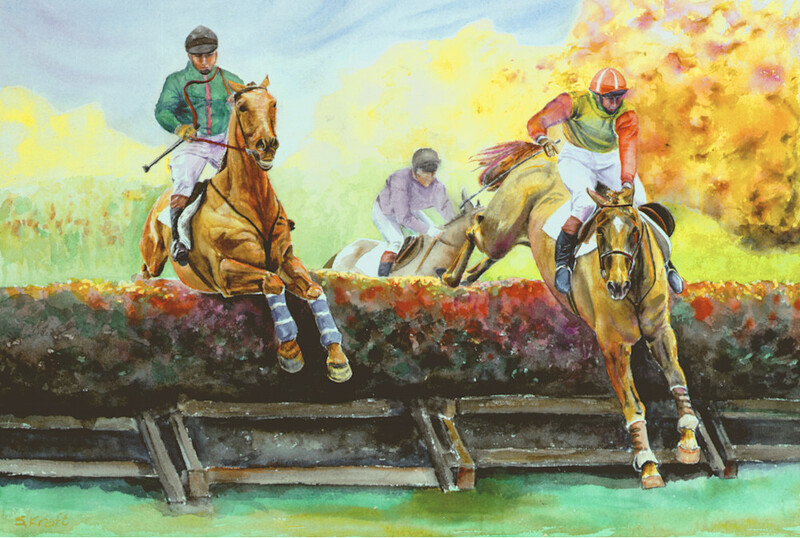 Watercolor of a cross-country steeple chase. See horses jumping over hedges of vibrant yellow, green and red. Two cross-country rider and horse pairs compete almost nose-to-nose in an endurance test to prove speed and jumping abiliities. You can feel the adrenaline rush and hear the hedge foliage being cleared by mere inches.